This spoon stabilizes to allow someone with Parkinson’s to eat again. 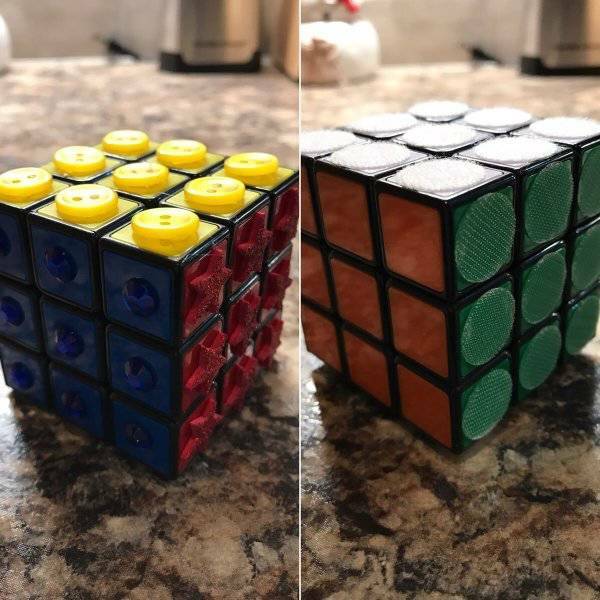 A Rubik’s cube with a different texture on each face, enabling a blind person to play. 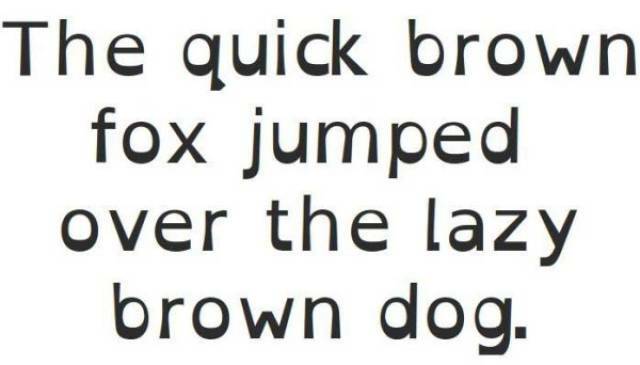 This font is designed to help people with dyslexia read easier. The grooves and slants make it harder for a dyslexic brain to confuse, for example, a “d” and a “p”. 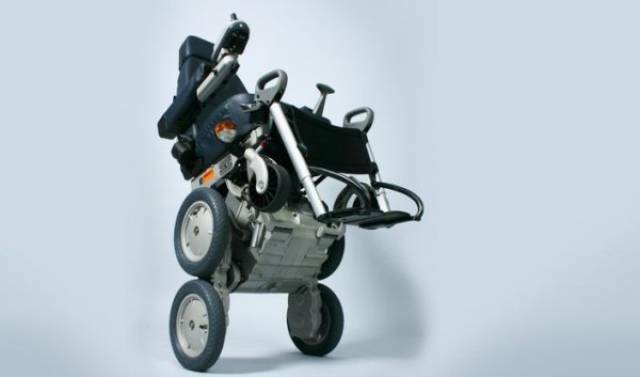 The Upsee lets parents walk with their disabled children. 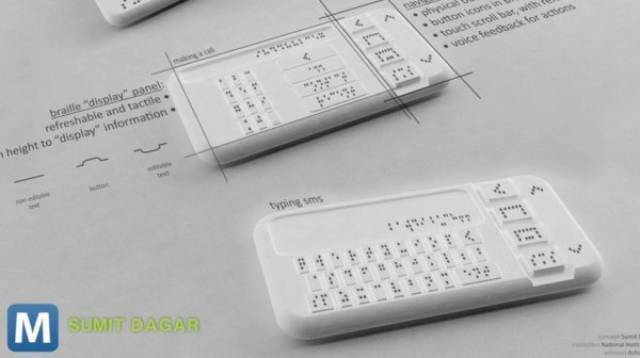 This Braille Smartphone has a screen made of tiny pins that raise and lower. 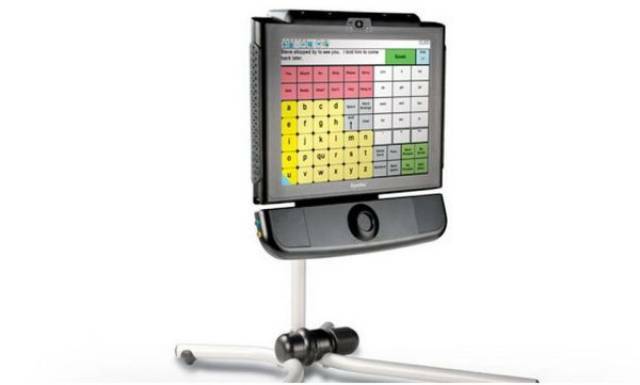 The DynaVox EyeMax enables a user to navigate a computer or television screen by tracking their eye movements. 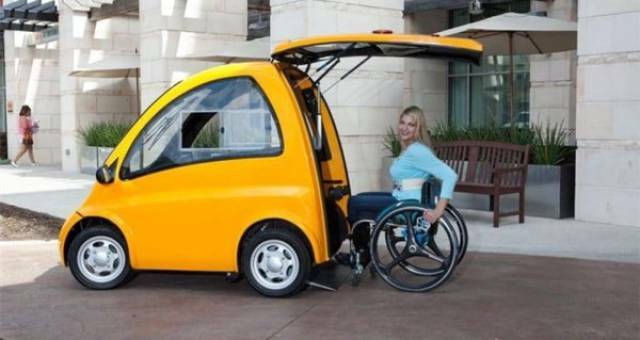 Kenguru makes a car easy for someone in a wheelchair to get in and out of. 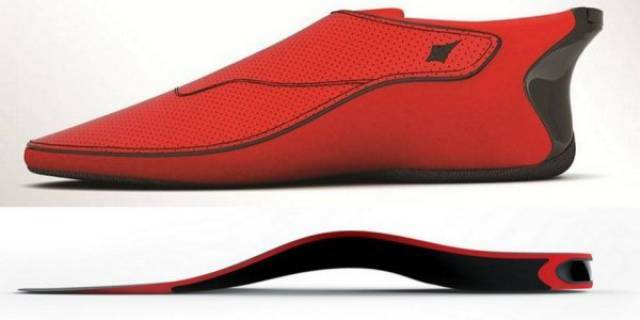 Lechal shoes guide blind people by reading their surroundings and buzzing to tell wearers to turn right, left, or stop. The “Look At Me” app teaches children with autism how to read facial cues and make eye contact. The SMART (Seizure Monitoring and Response Transducer) belt uses electrodes to detect a seizure and alert a parent or guardian. 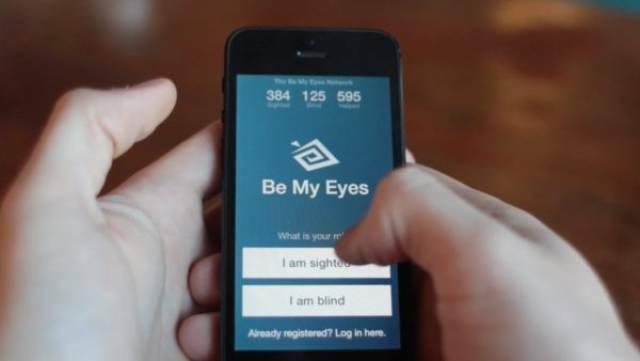 The “Be My Eyes” app allows a blind user to ping nearby sighted people for help. A team at Colorado State University has developed a device that turns words into electrical signals that can be “read” by the tongue. “Eye Play the Piano” is an eye-tracking device that allows a user to play the piano without their hands.